You will be able do whatever you want with your second BBL set thanks to the highly anticipated BBL set host reward. This exclusive host reward is available to TM5 and TM31 owners from 12 January to 15 February 2016. If you host a qualifying demo during this period and purchase your Thermomix you can purchase your second BBL set for just $205. 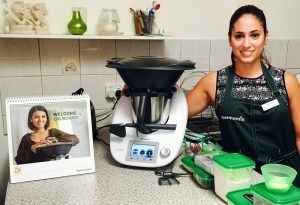 And to help you purchase your Thermomix and second BBL at your qualifying demo Thermomix in Australia have extended the 24 months interest free finance offer until Australia Day, Tuesday 26 January.